Description: Caucasian head/face with brown eyes, eyebrows, and a brown moustache. The top of the head is flat with a slightly raised oval-shape on the top to connect hair or hat pieces. 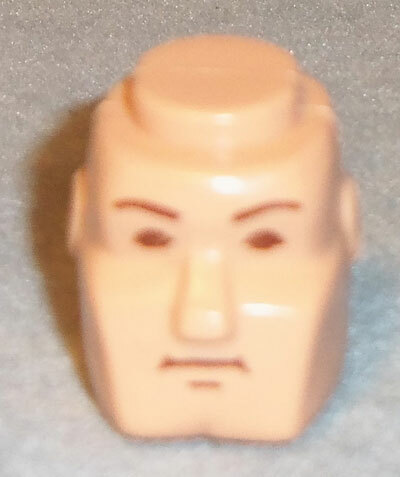 Description: Caucasian head/face with brown eyes and eyebrows (no moustache). The top of the head is flat with a slightly raised oval-shape on the top to connect hair or hat pieces.